Dr. Waters started working with animals during high school, volunteering at her local veterinarian's hospital and helping take care of horses at her aunt's horse farm. She worked for a veterinarian throughout college At the same time, she received her B.A. in Government (Political Science) at the College of William and Mary, an early sign of her lifelong interest in the political and legal process. 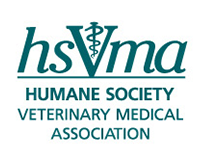 She received her DVM degree from Virginia-Maryland Regional College of Veterinary Medicine in 1990. She completed an internship in small animal medicine followed by a residency in small animal internal medicine at Purdue University. She achieved board certification in small animal internal medicine by the American College of Veterinary Internal Medicine in 1994. Dr. Waters completed a molecular biology post-doctoral fellowship and received her PhD in Physiology at the University of Missouri. She then practiced in a specialty private practice in Irving, Texas. Dr. Waters left veterinary medicine in order to create and develop the medical division of a law firm in Dallas, Texas; while working there, she went on obtain her law degree. She practiced law for several years before deciding she missed her animal friends too much. She gave up her law career and returned to veterinary private practice in Dallas in 2014. She is thankful for the opportunity to help heal cats and dogs once again. Her interests include general internal medicine, endocrinology, and animal welfare.